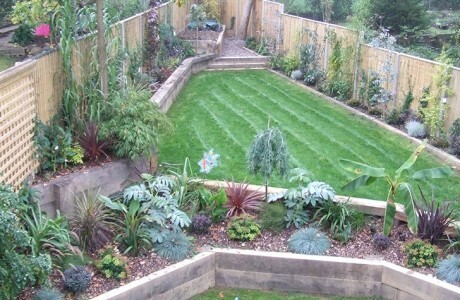 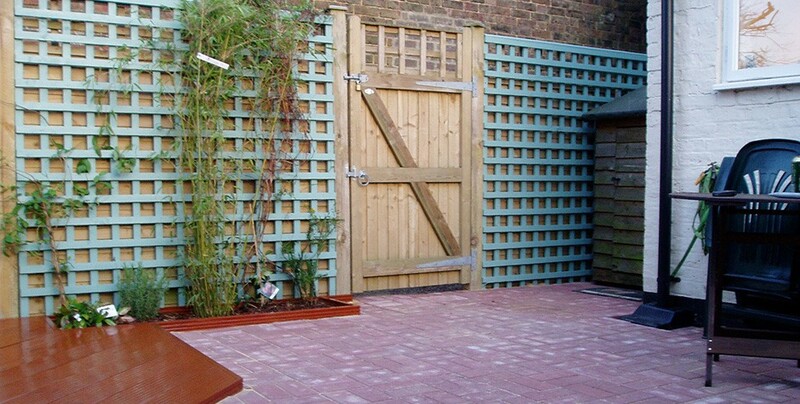 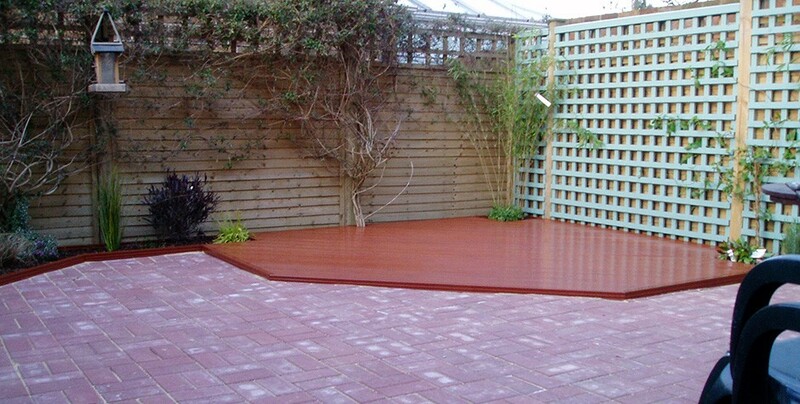 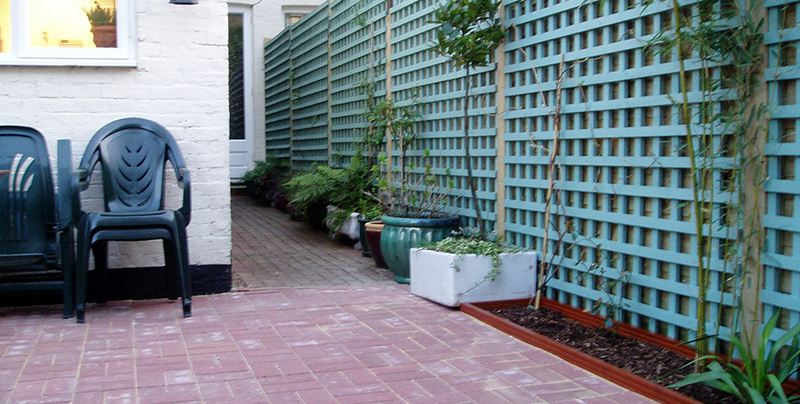 Client required their existing garden space re-paving with trellis wall for climbing plants. 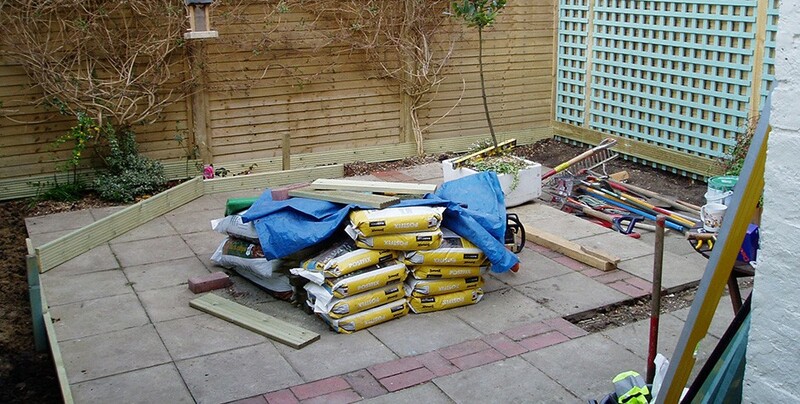 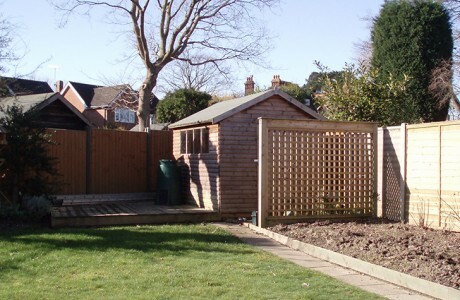 After our initial consultation, we decided to clear and landscape the garden to include turfing with decked area and raised borders with raised oak sleepers, and block paving. 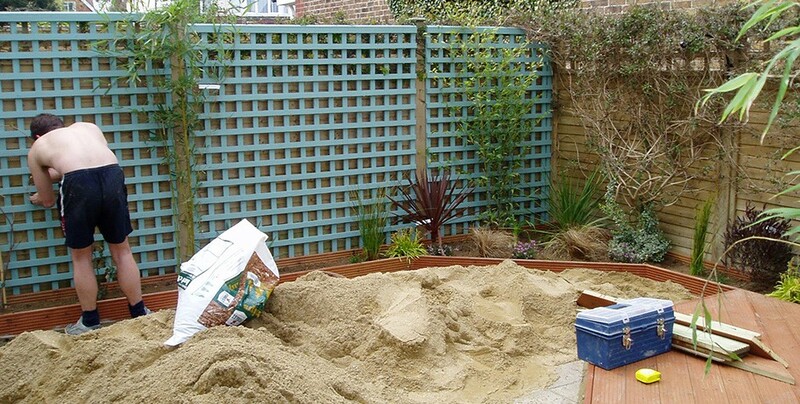 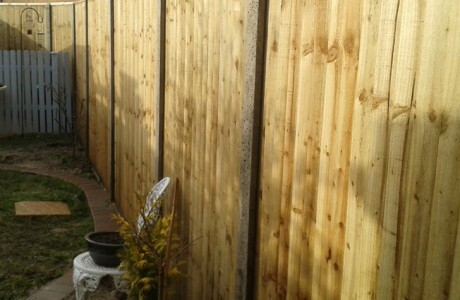 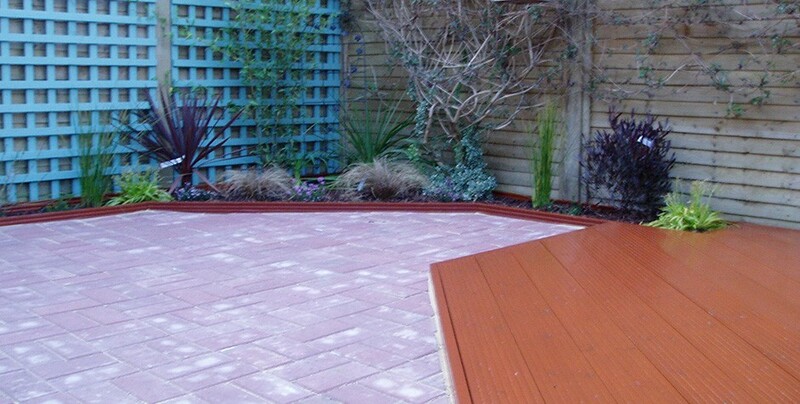 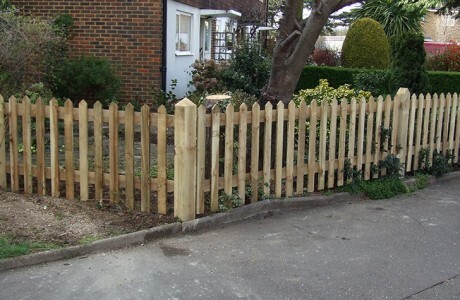 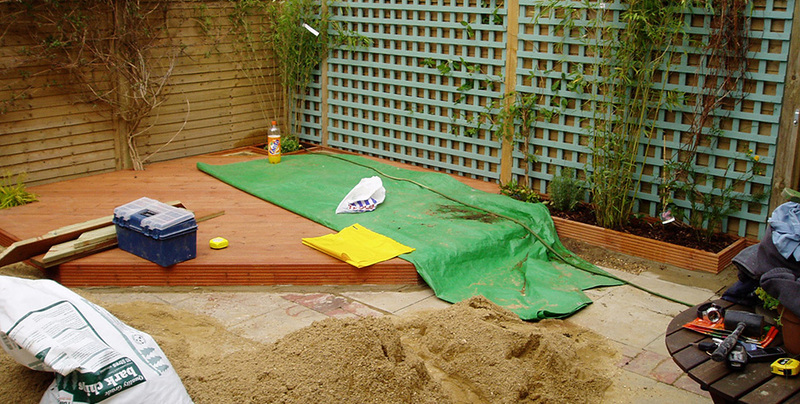 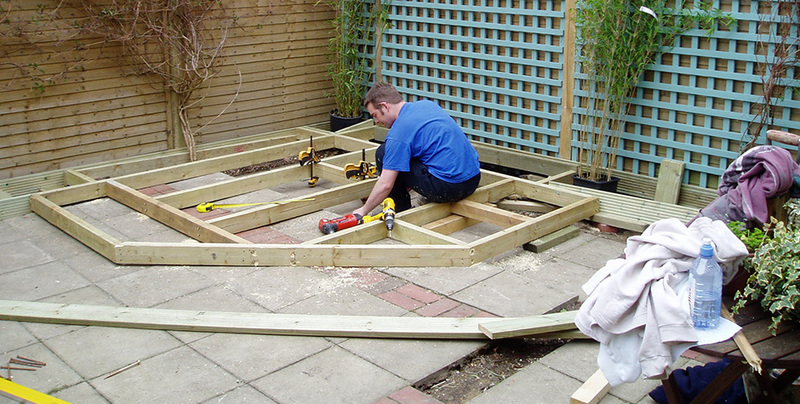 A custom made trellis fence was designed whilst using retaining fence and retaining walls.